Are you hummus obsessed like me? I pretty much always have hummus in the fridge because it’s such a yummy snack. I love it with any variety of Stacy’s Chips but by the time I realize it I’ve gone through the whole bag! They are so good and so addictive! Seriously, what do they put in their chips that makes you practically inhale them?!?! 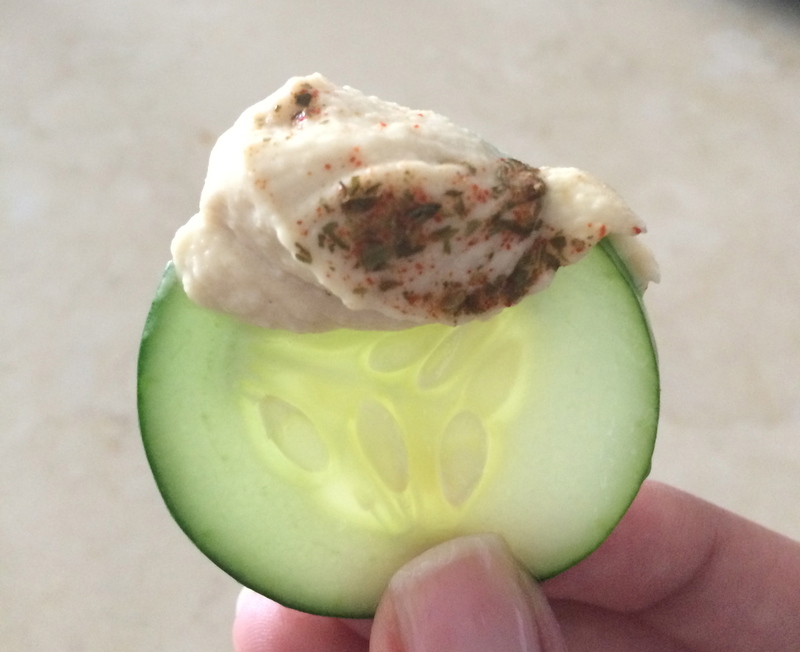 So, if you don’t want to give up your hummus snacks, why not make them more calorie friendly? I used to do this all the time and now I’m going back to it again. Just buy some regular cucumbers and make sure to rinse them thoroughly. Then slice them (about 1/2 inch thick) and drizzle them with lime juice and add a dash of salt. 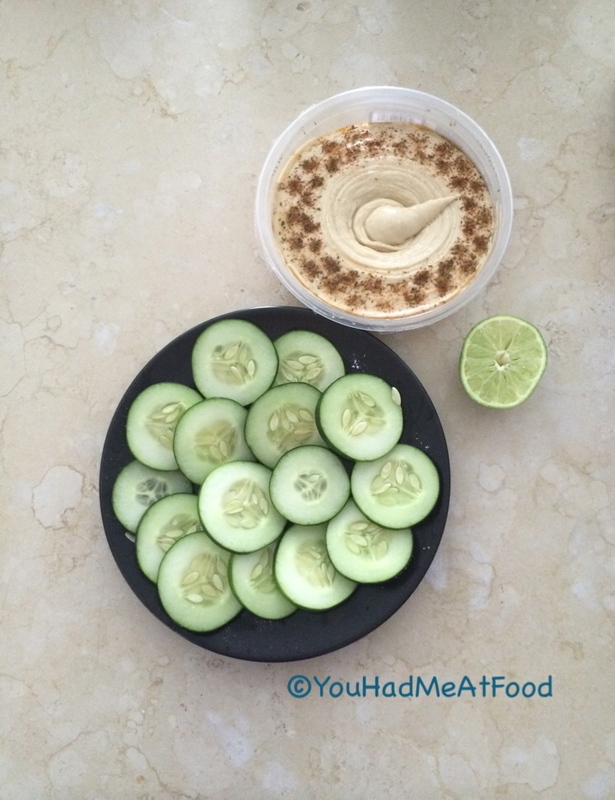 A good tip is to leave the skin on (that’s why you really need to wash them) because it helps keep the shape of the cucumber chip as you dip into the hummus and gives it an extra crunch. Enjoy!